Download a PDF version of my CV here. Dolhansky, B. and Bilmes, J. Deep Submodular Functions. To appear in NIPS 2016. CIS 520 Teaching Assistant, Department of Computer and Information Science, University of Pennsylvania, Philadelphia PA.
September 2012 - December 2012. 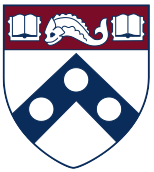 Taught several lectures for the graduate machine learning course at U. of Penn. Research Assistant, Music Entertainment Technology Lab, Drexel University, Philadelphia PA.
June 2008 - August 2012. Research Assistant, DAAD RISE Fellow, Lehrstuhl fur Kommunikationsnetze, Technische Universitat Dortmund, Germany. June 2011 - September 2011. Research Assistant, ACIN Center, Drexel University, Camden NJ. September 2008 - December 2009. CS 121-123 Teaching Assistant, Department of Computer Science, Drexel University, Philadelphia PA.
Software Tester, Law Manager, Conshohocken, PA.
June 2006 - September 2006.